Imagine a future where learning can be enhanced. The implications are far-reaching, from quicker recovery after injury or illness, to improved training regimes for athletes and new strategies for maintaining function in old age. It sounds like science fiction, but through the use of non-invasive brain stimulation, this future could one day be a reality. This exciting area, and the potential it holds for people living with chronic musculoskeletal pain, is the focus of Dr Siobhan Schabrun's research work. 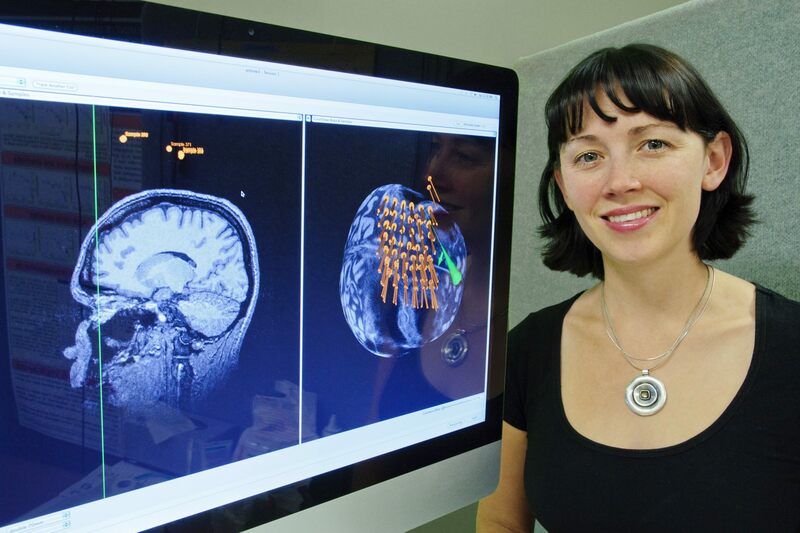 A NHMRC Career Development Fellow and Senior Research Scientist at Neuroscience Research Australia, she holds a PhD in Neuroscience from the University of Adelaide (2009) and a Bachelor of Physiotherapy (Honours) from The University of South Australia (2006). She has produced more than 80 publications and secured more than 3 million in competitive funding. Siobhan is passionate about science advocacy, research translation and community engagement. She is a member of The Global Young Academy, has been part of Scientists in Schools, writes for The Conversation, maintains the UPWaRD blog for people living with pain and has given more than 20 radio and TV interviews. She frequently presents to community groups and healthcare practitioners to actively disseminate and translate her research, and was a recipient of a Fulbright Scholarship (2014), a QLD Young Tall Poppy Award (2011) and the School of Science and Health Research Impact Award (2016).